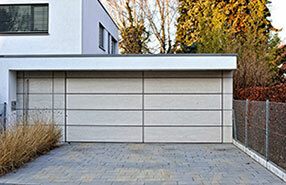 We specialize in a wide range of garage door repair and installation services. If you have never had your garage door spring inspected, make sure you do so immediately to avoid an unpleasant incident. You do not have to be an expert to know that the garage door spring plays an important role for the operation of the unit even when there is an opener set in place. Its job is to balance the weight of the door so that it can stay in place and open and close properly and completely safely. In order for this to happen, the spring has to be loaded with force whose amount matches the weight of the door. Unfortunately, sometimes the amount of force is not set correctly or changes over time and this can cause problems. Find out more about this situation and how it can be resolved. If the door doesn't close all the way, this may be due to the spring being loaded with too much tension. You should try to reset the travel limits and the force of the opener first to see if this will resolve the problem. If this solution does not help, the force which the spring is loaded with has to be reduced. 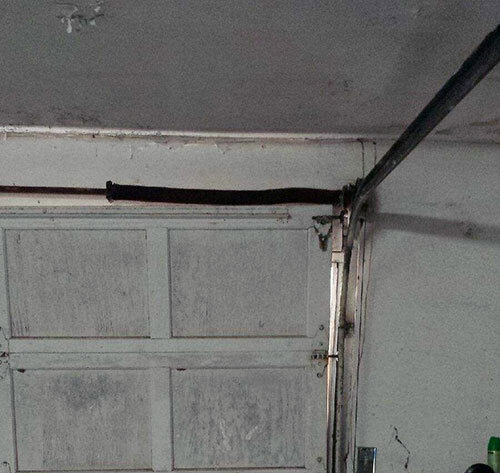 In general, this kind of issue typically occurs right after garage door installation or spring replacement. It is not normal and makes the garage and the entire property less secure. That is why it must be resolved timely. If the garage door opener works to open the door more slowly than it is supposed to, this may be a sign that there is too little tension in the spring. You should check the hardware component immediately when you notice this kind of problem to see if it is broken. In this case, immediate replacement will be required. Otherwise, the issue is with the tension and it has to be adjusted. This problem requires fast action on your part as well since the opener can get seriously damaged if it is left straining too much for too long. Sometimes, the symptoms of imbalance are too negligible to be noticed and may cause greater trouble unexpectedly. That is why our experts in Seffner recommend testing the spring balance as part of annual maintenance or more frequently if the door is used many times during the day. The test is simple. You simply need to disconnect the opener while the door is fully closed and then lift it manually until it is half-way open. If there is proper balance, the unit will stay in place. 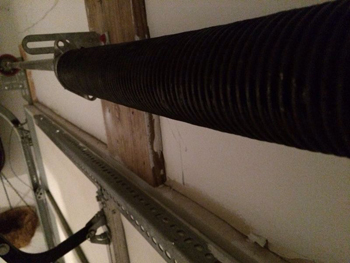 If it moves in either direction, garage door torsion spring adjustment will be required. You should definitely use this test to confirm suspicions of imbalance as well. Just make sure that the spring or cables are not broken before you do this. Now you know how to keep your automatic garage door properly balanced at all times.